ULTRALIFE’s leading edge primary (non-rechargeable) Thin Cell battery chemistry has emerged as an enabling technology, allowing IoT and wearable devices designers to realise the next generation of connected devices. 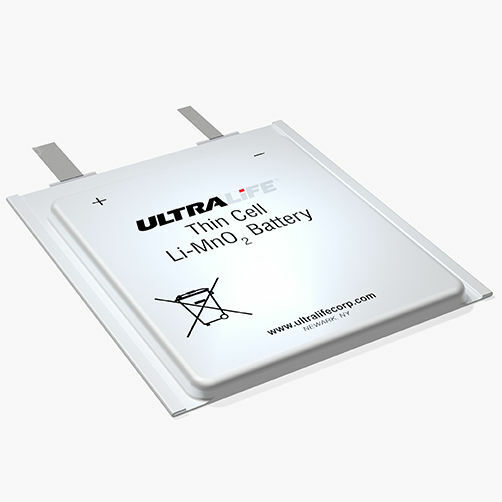 ULTRALIFE Thin Cell utilises high energy Lithium Manganese Dioxide (Li-MnO2) chemistry, efficiently packaged in a pouch cell format, allowing cells to be manufactured as thin as 0.4mm (0.016 inches). This innovative technology allows devices to be made thinner & lighter, opening up new possibilities for embedded & wearable devices.